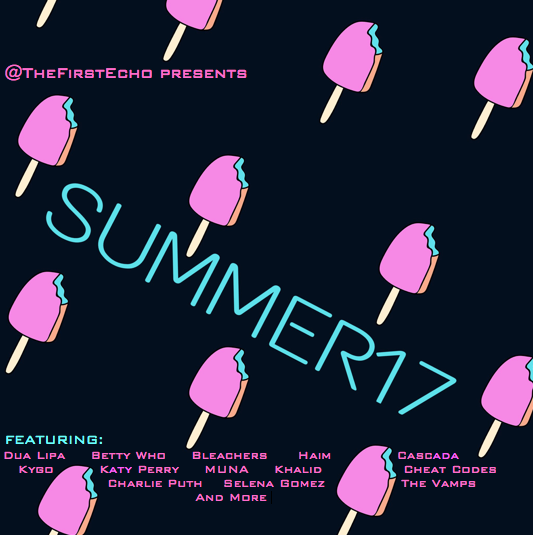 Summertime is the right time...for a kickass playlist. I've been making seasonal playlists for as long as I can remember, and summer is always a special one because it's the time of year when some of the best memories are made. Road trips! Barbecues! One night stands with Tinder hotties! And memories should always come with a great soundtrack. As for this summer, I'm holding out for sizzling British singer Dua Lipa to dominate my earbuds (she appears three times in this collection). As for Katy Perry, "Bon Appetit" desperately screams "Let me be your summer song!" but she should've just stuck to "Swish Swish" as her second official single off the upcoming Witness. As for this year's "Can't Stop The Feeling!" we don't have one yet. Sadly, there's no big summer jam in the forecast. But as soon as one pops up (and it's worthy enough to be placed here), I'll update this playlist as needed.